With so many choices available, where are the best places to find candle holders for sale? Candles give a very special ambiance to a room. When lit, their gentle candlelight adds atmosphere and romance to any occasion. When unlit, the candle becomes an accessory or a piece of interior design that complements a room or situation. In order, however, to show a candle off to its full advantage, a candle holder is required that ensures that the candle is both held safely and also looks great. Buying the perfect candle holder can sometimes be tricky. There are many different types and styles, including outdoor lanterns and floor standing candle holders. 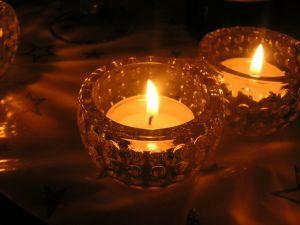 While tea light candle holders may look fantastic with tiny tea lights, they are unlikely to suit giant pillar candles. Likewise, special pillar candle holders are likely to dwarf small candles. Finding stores and other outlets with extensive ranges of candle holders for sale will help to ensure the perfect purchase. There are many places where candle holders can be found. Most large candle stores sell a range of candle holders. These are either sold as sets with a matching candle or sold independently of the candle. Stores that specialize in candles will often have candle holders that have been chosen to complement or enhance their range of candles. These specialist stores are an ideal first stop when looking for candle holders for sale. Antique Stores: As candles are one of the oldest and most traditional forms of lighting, it is hardly surprising that antique shops often have a wide range of candle holders. These can make an interesting alternative to their contemporary counterparts and antique accessories look great in all environments. Wooden candle holders in particular are very traditional. Wood ages beautifully and develops a deep rich patina that looks great when combined with any type of candle. Flea Markets and Garage Sales: Unusual and different candle holders can often be found at flea markets and other places that sell used items which are not necessarily antiques. These can be great places to find all sorts of 'treasures', including candle holders, which can be purchased for a few dollars. These candle holders may be as good as new or may need revamping in order to give them a new lease of life. Craft Markets and Exhibitions: Many crafts people sell their work through craft markets and exhibitions and this can be a great way to find handmade candle holders. These make a great complement to many room types. Artisan candle holder makers are also often delighted to take commissions - perhaps to create special candle holders for a wedding or party. This is a good way to meet artists and crafts people and discuss any special requirements. Remember postage. The cost of delivery can add significantly to the price of a candle holder, particularly for larger and heavier items. Check measurements. When candle holders are shown in photographs, it can sometimes be difficult to assess the size of the design. This might mean the holder is too big or small for its desired location. Compatibility with types of candle. Some candle holders are designed for a specific type of candle and therefore might not adapt to other types. Pillar candle holders, for instance, often have a middle spike to hold the candle in place. Tea lights would not fit onto this type of candle holder.